Medal in white metal, of good details and quality measuring 40mm. 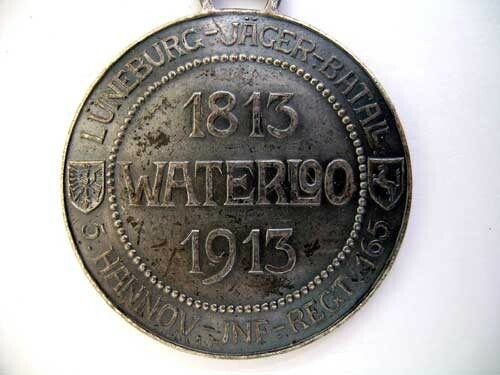 Commemorative Medal (1813-1913) of the Luneburg?s Jager Battalion / 5. Hannov. Inf. Regt. 165. 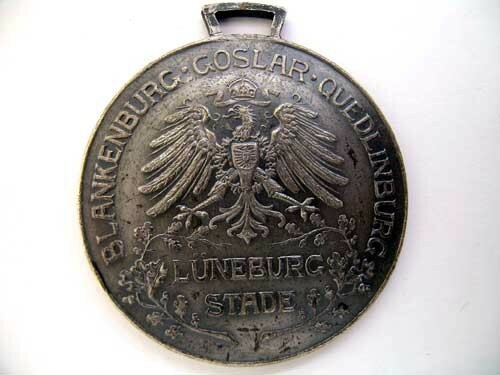 Attractive Medal, without ribbon, in extremely fine condition.